Sunday's call for long leisurely afternoons, Riverside, dressed to the nines, catching up with close friends, over an extravagant feast. If you're a strong advocate for what's probably the laziest meal of the day - and the easiest excuse for skipping breakfast, we have got a special treat for you! The four-hour affair includes three bottomless beverage packages to choose from, unlimited access to our premium food stations and breakfast menu, ripe with the very best seasonal delights and flavours you won't forget. 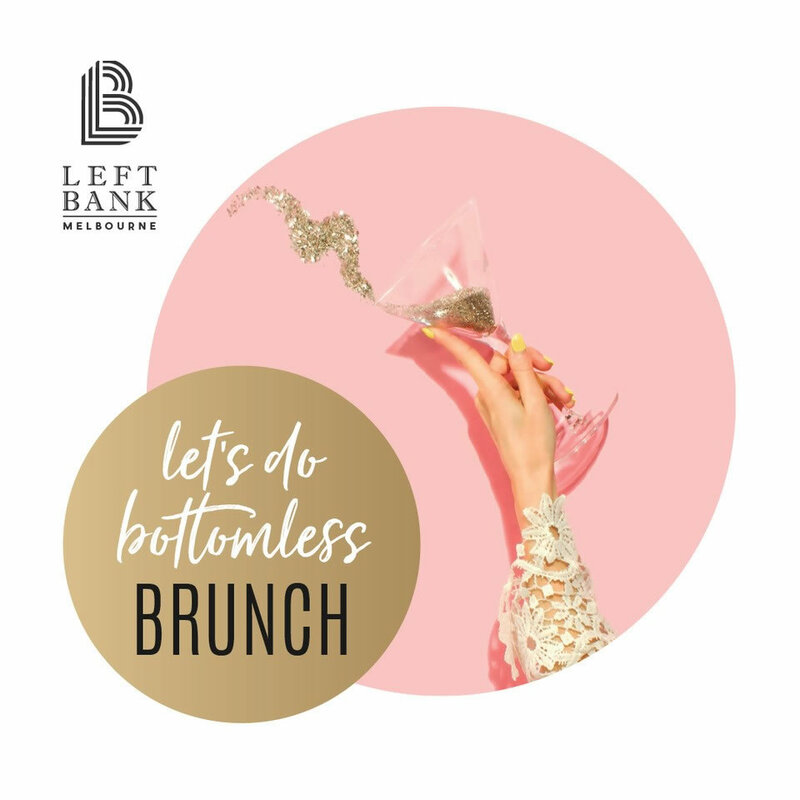 Left Bank Melbourne, is embracing the lazy Sunday spirit with a bottomless brunch on the last Sunday of every month from 11-3 pm.